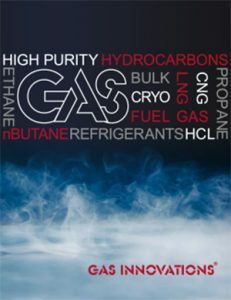 Gas Innovations makes first delivery of cryogenic ethane (-128 F) to its first bulk customer. One of (3) three 11,000 gallon tankers shown below makes the first bulk container delivery. 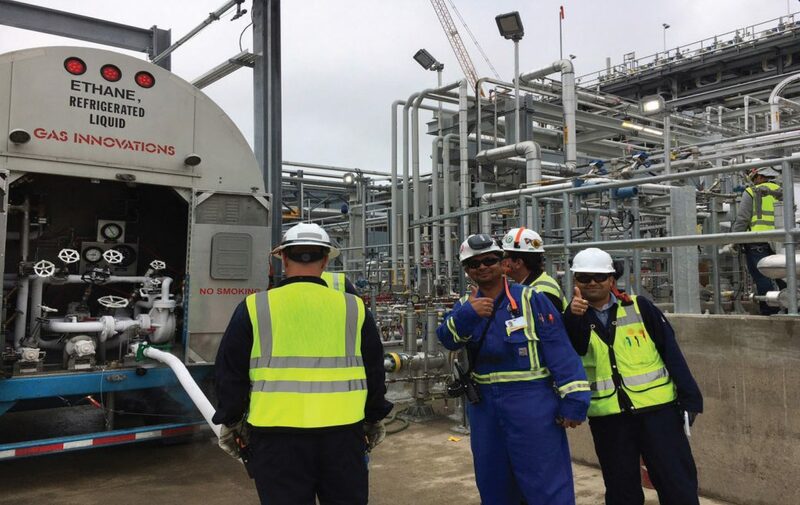 All tankers are equipped with cryogenic pumps for more efficient off loading. 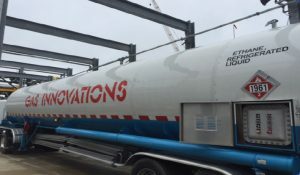 These Cryogenic tankers can deliver approximately 3 times more product than traditional tube trailers. 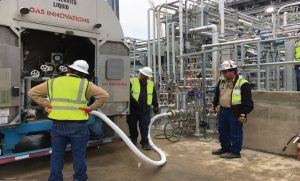 The Gas Innovations’ Cryo Tankers are equipped with pumps to rapidly deliver product to on-site storage tanks.